The horses theme is one of the favorites. In this 16pc dinnerware set - horses designed by Mara, look at how she has artfully done the horse's mane. 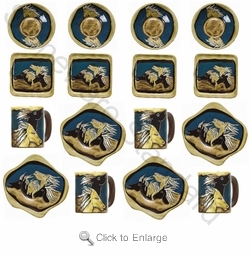 Check out our Horses - Individual & Complement Pieces to fill out your Mara Dinnerware set.